Yesterday, 3rd November 2016, six delegates from the UK Cannabis Trade Association (UKCTA) met with Medicines and Health Products Regulatory Agency (MHRA) representatives at the agency’s headquarters in Victoria. We were courteously received. The meeting was cordial, productive and enabled both sides to clarify their positions and better understand each other’s perspective. In summary, in my opinion, there is no immediate threat to to CBD consumers or businesses. The MHRA has now extended until 31 December 2016 the date by which businesses should voluntarily comply with its opinion, either by withdrawing existing products from the market, or by complying with necessary regulation. Thereafter, the next step would be to begin the process of statutory enforcement. This would take a matter of some months and I believe, even were this to be started, we are looking at more than a year before any impact would be felt. More importantly, based on the meeting, I think the outcome is likely to be that we can negotiate a form of regulation that will work for everyone. The MHRA team was led by Gerald Heddell, Director of Inspection, Enforcement and Standards. Also present were regulatory advisors David Olszowska and Chris Groutides; Dr Chris Jones, Manager of the Medicines Borderline Section; Greg Markey, Senior Medical Assessor and Malcolm Evans, Head of Patient, Public and Stakeholder Engagement. Mr Heddell opened the meeting by thanking us for bringing to the agency’s attention just how many people are using CBD, some for quite serious medical conditions. The MHRA set out its reasons for its opinion that products containing CBD used for medical purposes are medicines. Greg Markey explained the mechanisms of action and pharmacology that had been considered and Dr Jones explained that the Borderline Section existed to deal specifically with products where it was difficult to determine whether they should be regarded as medicines or food supplements. The example was offered of vitamin C where if it was being used to treat scurvy then it was clearly a medicine, whereas if it was used to supplement a normal diet it could be regarded as a food supplement. We were able to explain that all so-called CBD products on the market, with the exception of crystals, are actually whole plant extracts from low-THC cannabis, usually industrial hemp. We pointed out that the growth in the CBD market had been driven by people seeking the therapeutic benefits of medicinal cannabis which until now had been denied by the British government. The nub of the issue is really the nature of the condition for which CBD is used. The MHRA has already issued orphan designations for CBD for Dravet Syndrome, graft versus host disease and perinatal asphyxia. Orphan designations are granted where the benefit of a medicine can be recognised even though necessary regulatory processes have not yet been completed. It is important to understand that this is what has guided the MHRA’s opinion, viewing CBD as a medicine for very serious conditions. We discussed a range of options whereby, at the lowest level, CBD products could continue to be marketed as a food supplement. For minor conditions, not requiring medical supervision, it may be possible to obtain a Traditional Herbal Registration (THR) at a cost of a few hundred pounds. A third option is a ‘Specials’ exemption where a doctor or prescriber has specified and taken responsibility for an unlicensed medicine for a particular patient. Finally, the highest level is a Marketing Authorisation (MA) where the costs including fees and clinical trials are probably a minimum of £250,000. It is our view that CBD products should be regulated at all these different levels dependent on the purpose for which they are used and the concentration at which CBD is present. We have agreed that we will write formally setting out these proposals and the MHRA will respond accordingly. The UKCTA and a number of individual companies have now obtained legal advice including counsel’s opinion. We have shared this with the MHRA and formal solicitors letters have already been served. In essence, the advice is that the MHRA has failed to comply with its own guidelines and requirements in issuing its opinion to CBD suppliers and that any requirement to comply with regulations would have to be addressed on an individual, product by product basis. So, all in all, we believe the meeting was a success. We demonstrated that the new trade association is to be taken seriously and that we will work constructively with the agency. There was visible surprise at the level of professionalism we presented, particularly with the legal advice we had obtained. I believe we convinced the MHRA that we could establish a set of rules, guidelines and standards that would enable the industry to comply with its requirements. The CBD market in the UK is presently worth several million pounds a year. If it is to continue to grow, provide safe, effective products for consumers and patients and job security for its workers, then we need to establish UKCTA so that it effectively represents the whole industry. We need to show that we are responsible, we care, we are professionals and we are ready to put our collective head above the parapet as a legal, ethical and regulated industry. This meant, the letter said, that CBD products required a marketing authorisation before they could be sold. Marketing authorisation for drugs requires lengthy clinical trials, only justifiable if the product has patent protection. An alternative route is under the traditional herbal medicines regulations, but that requires evidence that the product has 30 years of use and applies only to minor conditions, where medical supervision is not required. Reynolds said that he thought it unlikely that CBD could qualify by this route. Mike Barnes, a neurologist and former NHS consultant and chief executive, is clinical adviser to CLEAR. He said, “The decision by the MRHA to treat CBD products as medicines has also been done without thought to the consequences for many thousands of people in the UK who currently benefit from the products. It will have very significant, and in many cases terminal, impact on the many legitimate businesses that provide high quality products. Crispin Blunt, an MP and CLEAR supporter, has written to the MHRA saying that the decision to designate CBD as a medicine is directly contradicted by the Home Office’s position that cannabis has no medicinal value. “It is vital that we do not let this anomaly in government policy cause harm to people’s health,” his letter said. He asked for details of how the decision was reached, the consultations undertaken, which specific regulatory regime MHRA proposed for these products, and whether the continued supply of these products, regulated as food supplements, could be ensured until such time that medicinal marketing authorisations could be obtained. The MHRA has not yet posted details on its website about the decision. In a statement it said that people who used CBD should speak to their GP or other healthcare professional. “We can provide regulatory guidance to any company who may wish to apply for a licence,” the statement added. We learned today that the Medicines and Healthcare products Regulatory Agency (MHRA) has started issuing letters to CBD suppliers advising them that CBD is being designated as a medicine and that sale of CBD products must stop within 28 days. This will be alarming news to many people. However, it is a complex situation which has some positive aspects to it. In the short term, if you are already using CBD products, you would be well advised to stock up as much as you can afford. CLEAR has been aware of this possibility for several weeks and consequently we have been working with leading CBD suppliers and licensed producers of both low and high THC cannabis on establishing the UK Cannabis Trade Association (UKCTA). We are already in correspondence with the MHRA seeking to represent all stakeholders, to establish a consultation process on regulating CBD products and to protect the interests of producers, suppliers and consumers. What these MHRA letters mean is that for CBD to be sold in future, suppliers will have to obtain either a ‘marketing authorisation’ or a ‘traditional herbal registration’ from the MHRA. A marketing authorisation can be fantastically expensive, requiring an initial application fee of £103,000 and full scale clinical trials demonstrating safety and efficacy. A traditional herbal registration is not as expensive, around £6,000 but relies on the product having been “traditionally used to treat the stated condition for a minimum of 30 years, 15 years of which must have been in the European Union (EU).” It also requires “scientific evidence relating to the safety, quality and traditional use of the herbal product”. It is far from certain that CBD will qualify for this scheme and in any event registration is only granted if the medicine is used for minor health conditions where medical supervision is not required. CBD is not a ‘controlled drug’ and is not prohibited but most CBD products are in fact low-THC, whole plant extracts derived from industrial hemp, legally grown under licence. So yes, they are a legal form of cannabis and, of course, according to the Misuse of Drugs Act 1971, cannabis has ‘no medicinal value’. So, you may well ask, how can the MHRA classify it as a medicine? This is just the first of many complications for the MHRA, the Home Office and the government. Potentially, it could be very positive as it could make the government acknowledge the medicinal value of cannabis and, in effect, force the beginning of cannabis regulation. It has been certain for some time that many of the CBD products presently on the market are unlawful because they contain levels of THC and CBN which exceed the limits stated in the Misuse of Drugs Regulations 2001. Some CBD suppliers have taken a head in the sand attitude to this, even in some cases foolishly promoting the THC levels in their products. This led to CLEAR removing its endorsement of one supplier earlier this year and recommending CBD Oils UK instead. The path ahead is uncertain. The UKCTA is pressing for an urgent meeting with the MHRA. Apart from the advice to consumers to stock up, these will be very worrying times for CBD suppliers and their employees. Another factor is that GW Pharmaceuticals is very close to applying for FDA approval in the USA and an MHRA marketing authorisation for its CBD epilepsy medicine, Epidiolex. CLEAR, the UKCTA and leading CBD companies are working together to clarify and progress this situation. We will keep you closely informed of developments. 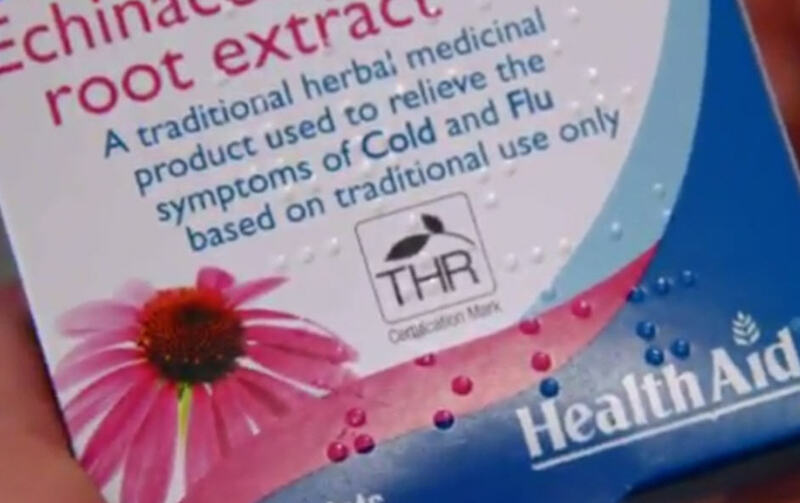 Shocking BBC Report On Herbal Products Highlights Problems With Cannabis Regulation. It seems that unless you choose a herbal product with a THR mark you can have no certainty at all about what you are buying. An excellent report on the BBC’s ‘Trust Me I’m A Doctor‘, reveals that the industry is rife with confidence tricksters, fraudsters and probably some well-meaning incompetents. How can you know what you’re getting in a herbal product? This has major implications for the medicinal use of cannabis and the businesses that will be needed to supply the product when it is legally available. The THR mark is Traditional Herbal Registration as regulated by the Medicines and Healthcare products Regulatory Agency (MHRA). It costs between £600 to £8000 to apply but that’s only if you’re claiming “the medicine is used for minor health conditions where medical supervision is not required (eg a cold).” If you want to claim anything more you have to apply for a marketing authorisation when fees are in excess of £100,000, plus the cost of clinical trials or evidence of your claims and your product’s safety. This is probably the biggest single problem facing the campaign for medicinal cannabis. We are a round peg which doesn’t fit into any of the government’s square holes. If we argue for cannabis as medicine, we challenge the reductionist, allopathic establishment which says that medicines are single molecules with directly quantifiable, predictable and consistent results. We cannot fit into the government’s square holes without the sort of approach taken by GW Pharmaceuticals at a cost of tens of millions in development. That is why the campaign has to focus on removing cannabis from schedule 1, so that doctors may prescribe it as they see fit. Some doctors are ready to do so (a few brave individuals already are prescribing) but it will require a huge campaign to educate others as to why and how to prescribe – and it will not be possible to make any medical claims in that campaign! The model of cannabis as medicine with different strains providing different therapeutic value just doesn’t fit within any concept of medicine in the UK. That’s like a triangular peg in a square hole. So perhaps there is little point in an unwinnable campaign to legalise such a drug as medicine when its use is already tarnished by years of propaganda and media scaremongering? It may be a hopeless cause and seeking a more general decriminalisation of the plant might be a wiser course. This is a question that seems to be unique to the UK. Other jurisdictions, such as the US states, have achieved reform through radical democracy which we do not enjoy in Britain. Canadians have used their courts to enforce access to cannabis as a fundamental human right. Other European countries just seem to be more flexible, intelligent and sympathetic to patients. On the other hand, it does seem that the MHRA’s THR scheme works and you know what you are getting when you buy a herbal medicine. Otherwise charlatans and confidence tricksters would prevail. These issues concern not only the campaign for medicinal cannabis but for cannabis law reform as a whole. Until we get to grips with them and develop a coherent approach we may find the UK continues to lag behind the rest of the world.